The Board of County Councilors became the Clark County Council effective January 10, 2018. Councilors meet every Tuesday, except for Tuesday holidays. More information about the Clark County Council. 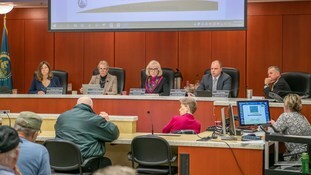 Complete coverage of the April 16, 2019, Clark County Council meeting. 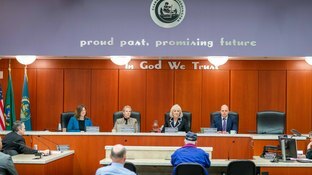 Complete coverage of the April 3, 2019, Clark County Council work session on recreational marijuana in unincorporated Clark County. Complete coverage of the April 2, 2019, Clark County Council meeting. Complete coverage of the March 19, 2019, Clark County Council meeting. Complete coverage of the March 5, 2019, Clark County Council meeting. Complete coverage of the February 26, 2019, Clark County Council meeting.